In yesterday January 28, 2013, the Spanish Equestrian Federation designation adopted several agreements on technical structures of the FEI. and composition of the various Technical Equipment equestrian discipline. In regards to our discipline The Raid, confirmed to D. Ignasi Casas as Director of the discipline. It specifies the crew, when we have this information we will post it. The FEI has appointed Peter King and Luis Lucio as directors of Eventing and Dressage, respectively. He has decided the locations of several championships in Spain and Spanish Cups. "All of them," the FEI said in a statement, "will be assisted by respective Technical Committees of Selection to be composed of representatives of different sectors integrated in each of the disciplines." Caval & Go has organized an Endurance clinic & FEI race in Namibia with Virginie Atger (3rd in the World classificationFrance champion in 2011, European champion in teams in 2011). With this experience of travelling and meeting locals, they created their travel agency specialising in equestrian tourism, organising trail rides and personalised horse riding holidays, in 2009. With a specialised knowledge of each destination and a close relationship with each travel partner, they create original holidays allowing each person to discover the world on horseback.Having ridden since they were children, they have each developed different areas of equestrian expertise over the years and will be able to advise you according to your level of ability, your desires and your budget, in order to find the most suitable trip for you. DUBAI: His Highness Sheikh Mohammed Bin Rashid Al Maktoum, Vice President and Prime Minister and Ruler of Dubai, witnessed the sixth edition of the Endurance race championship (Cup Mohammed Bin Rashid capacity) held at the Dubai International Endurance, along with Sheikh Hamdan Bin Mohammed Bin Rashid Al Maktoum, Crown Prince of Dubai, Sheikh Hamdan Bin Rashid Al Maktoum, Deputy Ruler of Dubai and Minister of Finance, and Sheikh Nasser Bin Hamad Al Khalifa, President of the Supreme Council for Youth and Sports and president of the Olympic Committee of Bahrain on Saturday. Abdullah Ghanim Al Merri retained the title for the second time in a row, after clocking a time of 6:01:19 hours on “Blaine” from Nad Al Sheba stables, a difference of only one second from Saeed Ahmed Al Jaber Al Harbi, who came second on “Eclipse” of Stables team Fazza, while the third winner Italian Marco Sardo, clocked a time of 6:05:13. For Abdullah Al Merri Cup champion the race came too hard at all levels especially the third stage in which his horse "Blaine" was nervous but he overcame this hurdle, getting better from one stage to another and making the final stage easier than the first four stages. Merri followed the directions of Sheikh Hamdan Bin Mohammed Bin Rashid Al Maktoum, Crown Prince of Dubai, which had a positive impact on the progress gradually from the back where he started the race in 16th place. He then climbed to eighth place before falling to ninth in the stage before last where he jumped back to the third place before attacking a lead in the final stage. The champion revealed that this race was the first win of “Blaine” who gave a good performance. Second-placed Saeed Al Harbi was pleased with his rise to the podium in the Cup Mohammed Bin Rashid Endurance Cup, explaining that before the start of the race he did not expect to achieve this accomplishment, especially with the horse “Eclipse” racing in the 120 kilometres. “It was the first time Eclipse ran in the 160 km race, so I did not expect to complete the race,” he said. For Al Harbi the third stage was the most difficult because of the strong competition between the jockeys and the entry of a large number on the last leg of the race, but managed to continue with the convoy and won the second place, one second behind the champion. “This is the best result for me this season and I hope to achieve more accomplishments in the upcoming races this season, highlighted by His Highness the President Cup state,” he said. GHAZI Al Dossary and Manon Clavez raced to victory in their respective categories in the Shaikh Khalid bin Hamad Seniors Rides held at Bahrain International Endurance Village in Sakhir. More than 50 riders from all over Bahrain competed in the third endurance event of the 2012-13 season, organised by Bahrain Royal Equestrian and Endurance Federation (Breef). It featured two rides over 120 kms and 80 ams, in addition to a senior race that saw Al Asayel Stable riders win all three podium places. The 120-km ride was divided into five stages, starting with 30 kms for the first two stages and 20 kms each for the third to fifth stages. In this event, Royal Endurance Team's Al Dossary steered Larzak to victory. 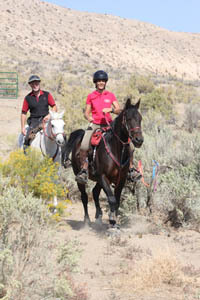 The Al Raood Stable rider completed the five-stage ride with a total time of five hours, four minutes and 17 seconds. He was followed by Raed Mahmood (5:14:36) of Al Khalidiya Stable on Derram while another Al Raood Stable entrant Mohammed Al Thawadi (5:21:26) rounded off the podium by coming third on Kintamani. Al Asayel Stable dominated the senior ride, which also covered 120 kms, as Mohammed Al Khatry completed the race ahead of teammates Fahad Sulaiman and Salem Sabt. All three received brand new cars, donated by Breef president, Al Khalidiya Stable captain and event patron Shaikh Khalid bin Hamad Al Khalifa. In the 80 kms ride, Al Shawamek Stable rider Manon clinched first place on Musical Gully Pizzecato with a total ride time of three hours, 49 minutes and 26 seconds. Her average speed was 21-km per hour. Behind her was Sumer Singh (3:40:33) of the Royal Endurance Team, in second place, with an average speed of 23-km per hour. Third overall was Yaqoub Yousef (3:40:41)with an average speed of 21-km per hour, ahead of Shaikh Isa bin Abdulla Al Khalifa (4:21:19) riding Ghanda with an average speed of 18-km per hour. The race was flagged off by Shaikh Nasser Media and Information Centre director Tawfeeq Al Salhi in presence of Breef officials. Following the race, the top three riders were honoured by Royal Team captain Shaikh Nasser bin Hamad Al Khalifa and Shaikh Khalid. Both Shaikh Nasser and Shaikh Khalid congratulated the winners in yesterday's events and wished others the best of luck in future races. Shaikh Nasser also lauded the level of competition. The 2012-12 endurance season got underway on November 17 with an 80-km qualifying ride. It was followed by the Breef Season Opening Ride on December 1. Dubai: Majed Al Jahouri is a name worth remembering, for you’re probably going to hear a lot more from this talented handler, who is based at the Al Wathba Stables in Abu Dhabi, from where he trains primarily for Shaikh Mansour Bin Zayed Al Nahyan, Deputy Prime Minister and Minister for Presidential Affairs. Al Jahouri is reaping the rewards of his experience gained in riding endurance horses with his growing string of Purebred Arabian and Thoroughbred horses. 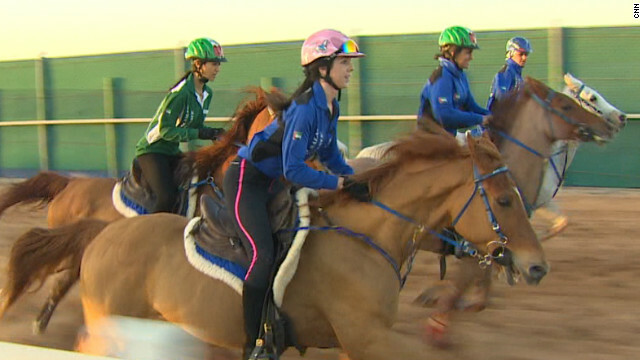 PROMINENT riders from all around Bahrain have stepped up their preparations for the Khalid bin Hamad Seniors Rides, to be held tomorrow at the Bahrain International Endurance Village in Sakhir. The third endurance event of the 2012/13 season will feature two rides, with the main race being over 120km. The other competition of the day is a qualifying ride which is over 80km. Headed by event patron Shaikh Khalid bin Hamad Al Khalifa, the Bahrain Royal Equestrian and Endurance Federation (Breef) has finalised all its arrangements for tomorrow's challenge. Participants will come from different stables, with the Royal Team to be captained by Shaikh Nasser bin Hamad Al Khalifa. The Royal Team, one of the main contenders tomorrow, are expected to rise up to the occasion and secure podium finish. Other stables in the fray include Al Khalidiya, Al Shuwamekh, Al Mugheirat and Al Ruwaie Stable. Royal Team manager Dr Khalid Ahmed Hassan said his riders have reached high level of fitness and readiness ahead of tomorrow's race, noting that the team had no break following the 2011/12 season and continued training for the new season championships. Hassan said the Royal Team members look to continue their solid performances this year and achieve positive results throughout the races this season, which expects to be a well-contested one due to the noticeable improvement of most of the stables. On his part, Al Shuwamekh Stable coach Jamal Al Dossary said he believes that tomorrow's ride will feature stiff battle among several riders and stables seeking glory, noting that the third race of the season promises to be a fast-paced ride from start to finish. The 2013 FEI World Junior & Young Rider Championships will be held in Tarbes, France on 27 July, 2013. the 125-km ride will consist of 4 loops of 36 km (easy terrain), 34 km (technical riding required), 35 km (technical riding required), and 20 km (easy terrain). Time deeming will be electronic with micro chips, and live tracking by GPS. All loops will begin and end at the Endurance Village in Ibos. Abu Dhabi: A cash prize of Dh500,000 including a car awaits the winner of the first big endurance ride of 2013. Nearly 200 riders are expected to take part in the 120km Emirates Championship to be held at the Emirates International Endurance Village in Al Wathba, Abu Dhabi on Saturday. MUSCAT His Majesty Sultan Qaboos Bin Said on Tuesday presided over the Annual Royal Horse Race Festival, being organised by the Royal Court Affairs (RCA), represented by the Royal Cavalry. The festival kicked off with His Majesty arriving to the Royal anthem played by the Royal Guard of Oman (RGO). The six-round race included five for pure Arabian horses and one for thoroughbreds. In the first round ‘Race of Governorate of Muscat,’ for pure Arabian (1,100 metres), Anas Bin Salim Al Siyabi on ‘Vazs Mane Son’ of the Royal Cavalry came first. Al Mu’atasim Bin Said Al Balushi on ‘Atheer’ owned by the Royal Cavalry won the second place and Hamad Bin Mubarak Al Wahibi on ‘Qadeer’ of Royal Cavalry finished third. In the second round ‘Race of Governorate of Musandam’, for thoroughbreds (1,600 metres), Asa’ad Bin Ali Al Siyabi on ‘Zain Shamardal’ of the Royal Cavalry took the top honours. Yassir Bin Jumayyil Al Sunaidi on ‘Atlantic Brave’ of the Royal Cavalry came second and ‘Emirates Roadshow’ owned by Faisal Bin Abdullah Al Mazro’ei came third. In the third round ‘Race of Governorate of South Al Sharqiyah’, for pure Arabian (1,600 metres), allocated for the horses that topped the rankings in the races of season 2012-13), Hamoud Bin Hamad Al Hajri on ‘Motsho Bello’ owned by Mohammed Bin Saud Al Khalili won the top spot. Aamir Bin Salim Al Ghunaimi on ‘Chainactic’ owned by Mahboob Bin Mohammed Hashmani came second, Mahir Bin Juma Al Balushi on ‘Chriss SWA’ owned by Khalid Bin Mohammed Bin Khasrozman finished third. The fourth round ‘Race of Governorate of Dhofar, for pure Arabian horses (1,600 metres) was competed by amateur jockeys from around the world for the Fegentri Cup. Raoul Dygas on ‘Djoulla’ owned by the Royal Cavalry came first, while Jamie Flein on ‘Sakari’ of the Royal Cavalry finished second and, Ahmed Bin Saif Al Hadhrami on ‘Wathiq’ of the Royal Cavalry ended third. In the fifth round ‘Race of Governorate of North Al Batinah’, for pure Arabian horses (1,100 metres), Fahd Bin Omar Al Rahbi on ‘Hasheemah’ of the Royal Cavalry came first. Azhar Bin Saif Al Wardiyah on ‘Al Kashif’ of the Royal Cavalry won the second spot and Hamoud Bin Hamad Al Hasani, on ‘Al Awam’ of the Royal finished third. Husni Bin Mubarak Al Hajri on ‘Al Ashram’ of the ROP won the sixth and last round ‘Race of Hisn Al Shomoukh’ for His Majesty Sultan Qaboos Bin Said’s Cup. ‘Vizi Des Cedres’ of the Royal Cavalry came second in the event held for pure Arabian and run for 2,000 metres. Anas Bin Salim Al Siyabi on ‘Kiram’ of the Royal Cavalry came third. Various shows were also staged during the festival. Canon dragging and equestrian skill shows gathered the attention, while horse beauty show of the new horses at the Royal Cavalry thrilled the audience. International teams specialised in equestrian show like Piaf Trio Team from Holland and the French team, which won the World Vaulting Cup, also staged their skills with vaulting and disabled equestrian shows. At the end of the festival, the participating teams formed the concluding plateau and His Majesty handed over His Majesty’s Cup to Husni Bin Mubarak Al Hajri, the winner of the sixth round, and the prizes for winners of the top places in other rounds. The Royal anthem marked the conclusion of the festival. Nasr Bin Hamoud Al Kindi, the Secretary General of the Royal Court Affairs, said the Royal Cavalry enjoys the interest and care from His Majesty. This enables the team to improve its performance every year, he said. The excellent performance of the men and women riders of the Royal Cavalry in the Annual Royal Festival is a proof of the special care, he said. Al Kindi said His Majesty is keen on preserving the authentic cultural heritage of horse races, riders and traditional races. The domestic and international participations in the Annual Royal Horse Race Festival is part of this interest, he said. 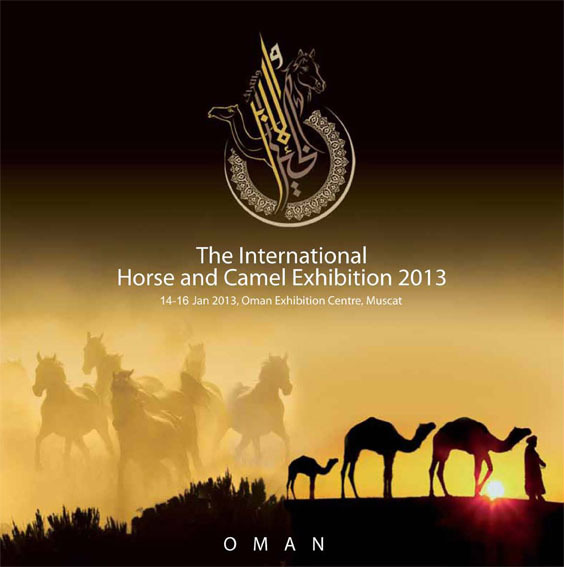 On the achievements of the Royal Cavalry horses in the regional and international races, Al Kindi said the achievements made by the Royal Cavalry, by horse riders or horses, are the result of His Majesty’s interest in the Royal Cavalry to participate at local, regional and international races to achieve significant results for the Sultanate. He said that the results of those participations were great, especially in 2012 which saw a bronze medal in the World Endurance Horse Race. And in races held in Britain, France and some other Gulf States, the Royal Cavalry achieved top three positions. He said these record shows the capability of Omani jockeys and Omani horses that are of domestic breeding and compete in international races. As many as 3,863 participants attended in the festival including 1,285 students, in addition to 842 horses and 60 other animals. A number of traditional horse races like Hambal, Al Tahuwarib and Razha were performed at the festival. On April 13, 2013, right at the heart of Torres del Paine National Park the 9th version of the Equestrian Endurance Race will take place, combining the magic of this exciting sport with the spectacular scenery of one of the most important national parks in Chile. Enjoy organized programs with accommodation, excursions, transfers and days of activities within the national park Torres del Paine. Get to know the most important attractions of the magnificent national park like Grey Glacier or the imposing Torres del Paine, which undoubtedly will surprise you. This race will run by the international FEI Rules valid since 2009.